In the heat of summer, there’s nothing better than eating a juicy, chilled melon. There are those realllly hot days though, where I just can’t eat enough melon to cool me down fast enough. 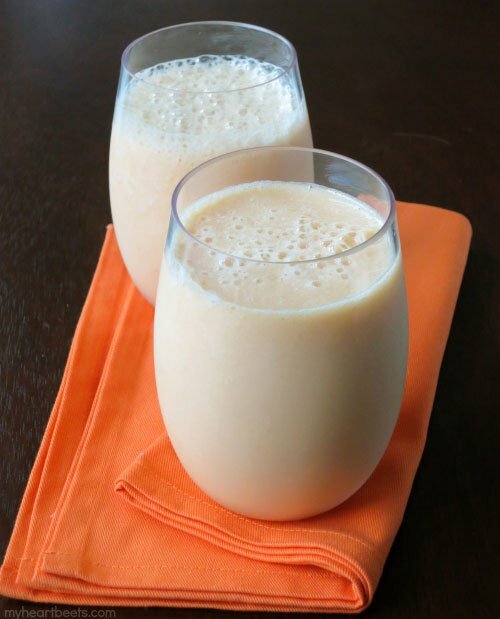 That’s when I make this Cantaloupe Clove Creamsicle – easy to drink and with every sip, I feel like I’m fueling a tiny air conditioner inside my belly, helping to cool me down. Strange description, right? Well, try this smoothie and you’ll see what I mean. 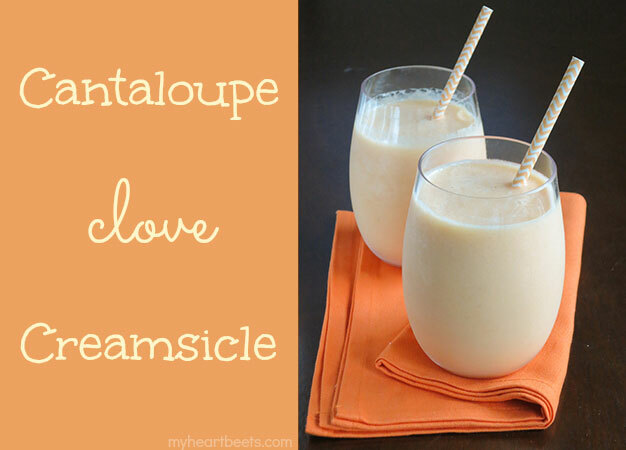 This cantaloupe creamsicle is refreshing, sweet and creamy. The cloves add a sweet and slightly warm taste that both contrasts and helps heighten the flavor of the sweet and juicy melon. For those unfamiliar with cloves, they’re pink unopened flower buds that turn brown when dried. While most people use them to flavor savory dishes (think ham), they also pair exceptionally well with sweet and fruity recipes. You want to be careful with the amount you use though, because the spice is very fragrant. I find that using three cloves is the perfect amount for this drink. You can add a couple more if you really like the flavor. Stay cool, friends. 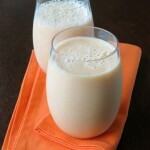 And for other smoothies using spices, check out my cardamom green smoothie and mango chai smoothie. Grind the cloves in a coffee grinder or using a mortar pestle. Blend all of the ingredients, including the freshly ground clove, until smooth. Serve with a fancy straw (wink). I’m intrigued by the clove with the cantaloupe, I have to try this! LOVE creamsicle flavor! Thanks, Ashley! This sounds so interesting, and I would never have thought to combine clove and cantaloupe!